The story is what happens between the beginning and the end. 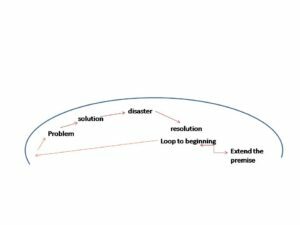 The story arc is what shapes a foreshadowing beginning and a denouement that has looped back to the beginning, then goes on to extend the story beyond the expected conclusion. For example, the story begins with Scarlett and Rhett alone in a room and the reader wants them to end up there. In the end, the story loops back to them to give the bodices a good rip when at last they marry – the denouement – but then extends expectations to settle what was really happening in the story; Scarlett gets what she deserves, a healthy dose of her own medicine, and Rhett moves on. 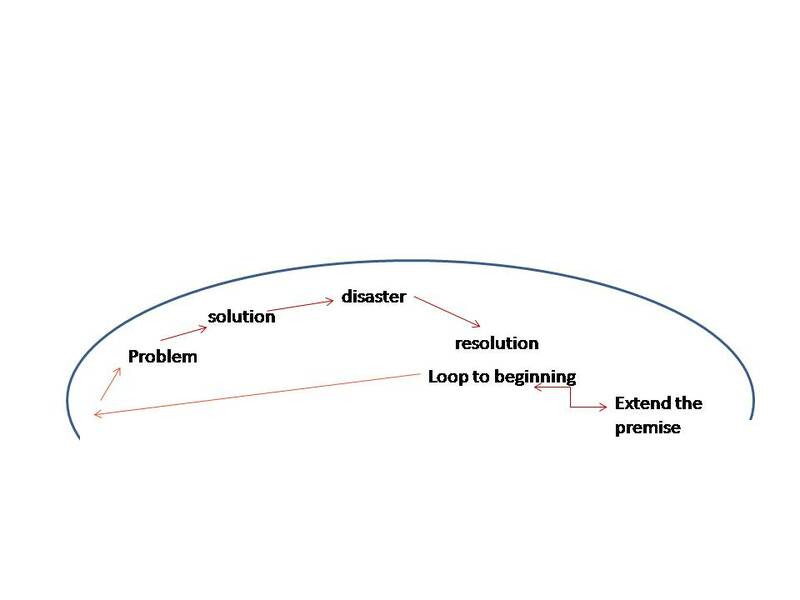 Consider the classic story arc: protagonist + problem = solution, followed by new disaster that fulfills the story ending in the same setting in which the story began. Think Sam and Frodo back in Underhill. Only – the story doesn’t end there. Instead, the rest of the story shows that in the end things don’t come out as planned. Think Frodo leaving Underhill and getting on the Viking boat with Gandalf – there’s no place in Middle Earth for an adventure-wizened hobbit with strange friends. So, what is Train misses school bus? It might be a report, gossip, handwringing, but it’s not a story. Train misses school bus, and relieved driver then loses control and runs off a cliff – that’s a story. And this is just the beginning, something for you to think about over the Holidays. See you next year.